Chicago designer Christopher Scott has designed engagement rings that can only be 3D printed by the couple they are designed for. My Reason Your Ring evolves what is cherishable about the objects from monetary to relational as only one partner has the ability to print the ring for the other. The couple chooses the reason for their relationship as a password on a custom website thatcontrols production. Because of the nature of the material, the rings can be truly lived in; lost on a picnic, scratched, faded in the sun, dropped in the ocean, etc., only to be replaced by the other partner. The rings are designed as inverses where the volume on one becomes the void on the other, becoming unique symbols for the couple. Christopher Scott partnered with us at Innovation Factory �for the design, rapid prototyping & production of the rings. “The inspirations for this project cam from my desire to rethink very simple human experiences. The challenge was to figure out how to make a 3D printed ring cherishable. The answer was a website that allowed only one partner to print the ring for the other. This changed the value of the ring from monetary to relational. The intersections of the physical and digital worlds truly allow us to re-envision our simplest traditions.” said Scott. 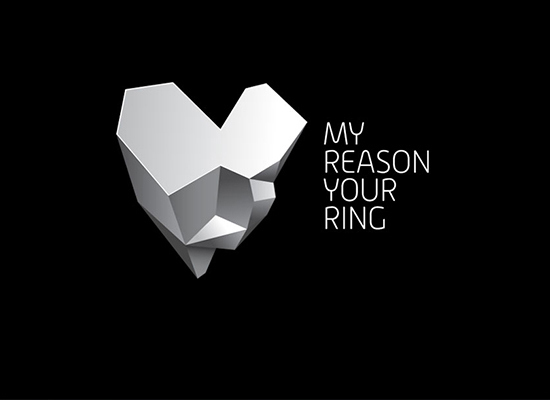 “When the idea was first presented to me, I thought it was new and dynamic and something no one had ever done before.” said Noah Cruickshank, the client of the My Reason Your Ring project. “Innovation Factory started as a means to bridge the gap between really great ideas people have and this amazing 3D printing revolution that’s happening. We were also really excited about the idea of creating a difference in a very traditional industry.” said James Wilde, Chief Technology Officer at Innovation Factory.